"Listen to the silence. Listen to your life. 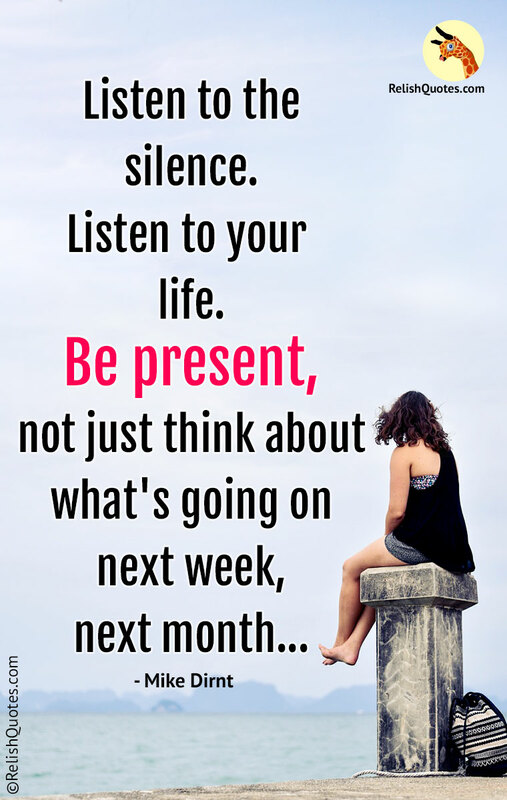 Be present, not just think about what's going on next week, next month."